Yolonda Sewell is a native of Texas who grew up in Fort Worth and attended the High School of Medical Professions at North Side. Ms. Sewell continued her education at Southern Methodist University in Dallas, Texas. While at SMU, Ms. Sewell was very active in student organizations such as student senate, Association of Black Students, Voices of Inspiration gospel choir, and Alpha Kappa Alpha Sorority, Inc. In 2002, Ms. Sewell obtained her Bachelor of Arts in Political Science and Psychology from SMU, but her educational career would not stop there. 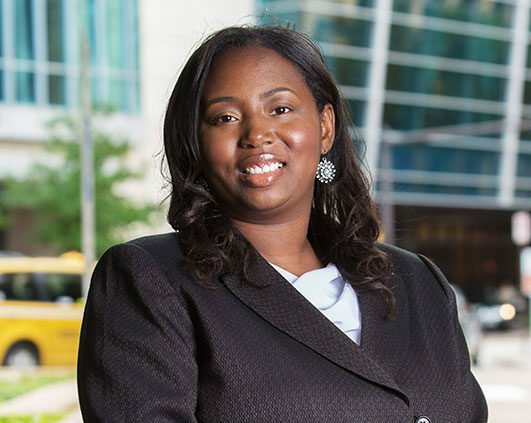 Ms. Sewell went on to pursue her law degree at Texas Tech University School of Law in Lubbock, Texas. During her tenure at the law school, Ms. Sewell blazed trails for the students who would attend law school after her. She became the first African-American member of the Texas Tech Law Review serving as a Volume 35 staff member, Volume 36 Articles Editor, and Volume 37 Manuscript Editor. Ms. Sewell also served on the local, regional, and national boards of the National Black Law Students Association. After receiving her Doctor of Jurisprudence, Ms. Sewell served as the Assistant Director of Recruitment at Texas Tech University School of Law for three years before returning to Fort Worth, Texas to begin her own law practice. In 2008, Ms. Sewell began managing her law firm which consisted of business litigation, family law, wills and estates as well as serving as general counsel for two non-profit agencies. After six years as a solo practitioner, Ms. Sewell was approached with the idea of returning to law school admissions. Therefore, in January 2015, Ms. Sewell resumed her law school admissions career. She recently served as the Admissions Operations and Programming Coordinator at Texas A&M University School of Law where her goal is to help improve the law school pipeline and access to legal education for minorities. At present, Ms. Sewell serves as the Assistant Director of Academic Support and Bar Services.